Free ComDebug software logs data from Ohaus balances, and other instruments with an RS232 serial port, on a PC running Windows. All data is time-stamped and can be imported into Excel. To download ComDebug just subscribe to our monthly Monitor newsletter (ISSN 1472-0221). ComDebug lets you log data from one instrument and save it in a text file. For data logging from many instruments, charting and real-time data capture by Excel our Windmill data acquisition software is just £50. For an overview of entering the configuration settings see the Getting Started with COMIML and ComDebug page. 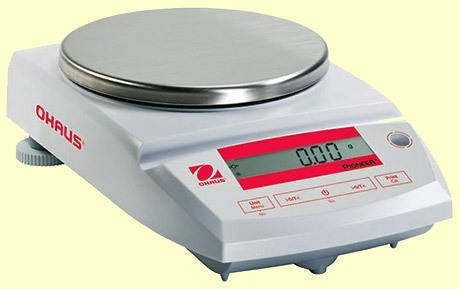 Specific example settings for an Ohaus Pioneer FX3000 balance and Ranger 3000 series are given below. have saved settings, select Edit an Existing Windmill Instrument File. These must be the same as your balance uses. Check the Instruction Manual and see the RS232 menu option on your balance. Choose Serial or Edit COM Port Settings to bring up this dialogue. In the Main Menu choose Edit the Instrument Timings and enter these settings. In the Message Screen click Run to check that everything is working then select the File menu to save readings in a text file. Save your settings: from the Main Menu select Save .IMD file. The free ComDebug program might be all you need. However, if you want to connect more instruments, chart data, send data to Excel in real-time and so on, you can use the other Windmill programs. Run Windmill SetupIML to specify alarms, convert engineering units, etc. You can then collect and display data with Logger, Chart and DDE Panel. From DDE Panel's File menu select Load Hardware Setup and choose the *.ims file you just saved. If you are unable to get data from your balance go back to ComDebug's Terminal or Message screen. Make sure your command is shown in the prompt grid. Click the Send button: does your instrument reply?